How many cosmetic wrinkle injections are performed each year? 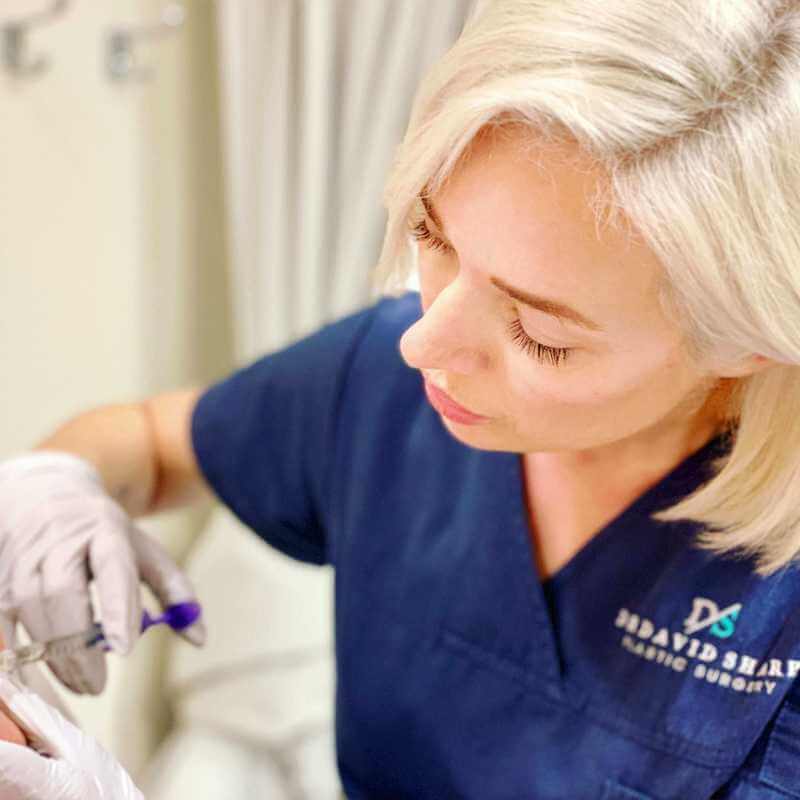 Cosmetic wrinkle injections are the most commonly performed aesthetic treatments in the world, according to figures released by the International Society of Aesthetic Plastic Surgeons in November 2018. In our Brisbane and Ipswich cosmetic clinics, muscle relaxing cosmetic injectables have been performed on a daily basis for many years - and continue to be one of our most rapidly growing procedures, with crows feet, frown lines and hyperhidrosis for excessive sweating three of the most common treatment areas. Wrinkle injection treatments work by safely and temporarily reducing muscle activity, smoothing existing wrinkles and preventing more from forming. The effects last 3-4 months and so the 10-20 minute treatment is usually performed 3-4 times a year. Priced from $12.50 per unit, we use the world’s most reputable wrinkle injection product (which can’t be named here due to TGA regulations) under the clinical supervision of our plastic surgeon Dr Sharp. Modern injecting techniques deliver a soft, natural look - rather than the frozen, overly smooth appearance once synonymous with this treatment. In addition to reducing wrinkles in the upper face, muscle relaxing injections can also reduce the appearance of a ‘gummy smile’ whereby the upper lip curles up, exposing the upper gums - as well as excessive sweating in the armpits, hands, scalp and feet, which is called hyperhidrosis. With its excellent safety record and broad application, it’s not difficult to see why it is literally the world’s most popular cosmetic treatment! To book a complimentary wrinkle injection consultation, call us on 3202 4744.